Bring your questions about this new product, the pathway to commercializing a soy-based product, and the many opportunities for soy as a sustainable ingredient in industrial products. 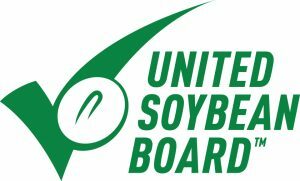 And check out this Indiana Soybean Alliance video https://www.youtube.com/watch?v=iJD1YtkkZ2Y&feature=youtu.be featuring past commercialization successes including a Student Soybean Innovation Competition winner. 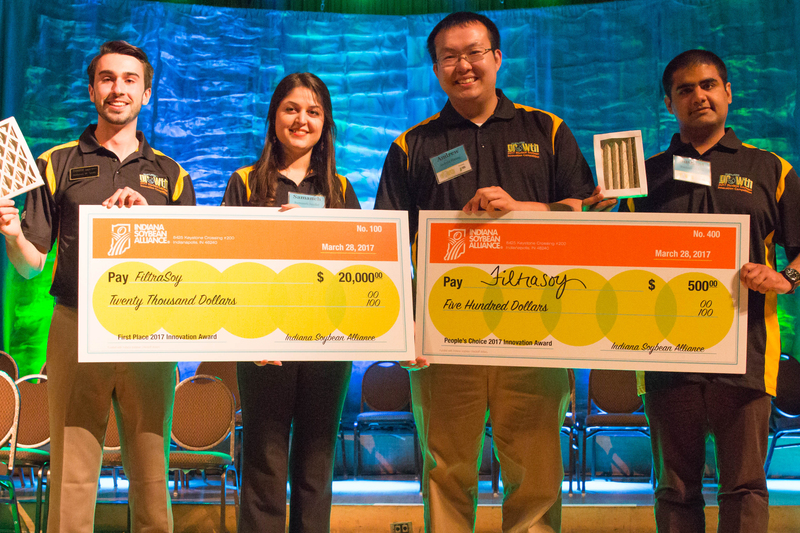 The FiltraSoy team took first place in the 2017 Student Soybean Innovation Competition at Purdue University for creating a soy-based HVAC air filter. Pictured from left are Anderson Smith of Fort Wayne, Ind. ; Samaneh Saadat of Iran; Andrew Huang of Potomac, Md. ; and Sushant Mehan of India.